Much has been written about cloud, big data and analytics, mobile, social, and IT security as significant forces that are transforming information technology and business. Much less has been said about the impact of these forces on networking—or about the role that networks play when business initiatives are based on them. As these technologies move from future trend to mainstream, the network as the common, critical infrastructure component will get close to the breaking point. 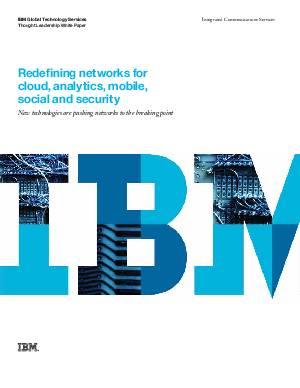 This paper explores the implications of cloud, big data and analytics, mobile, social business and the evolving IT security landscape on data center and enterprise networks and the changes that organizations will need to make in order to capitalize on these technology force.